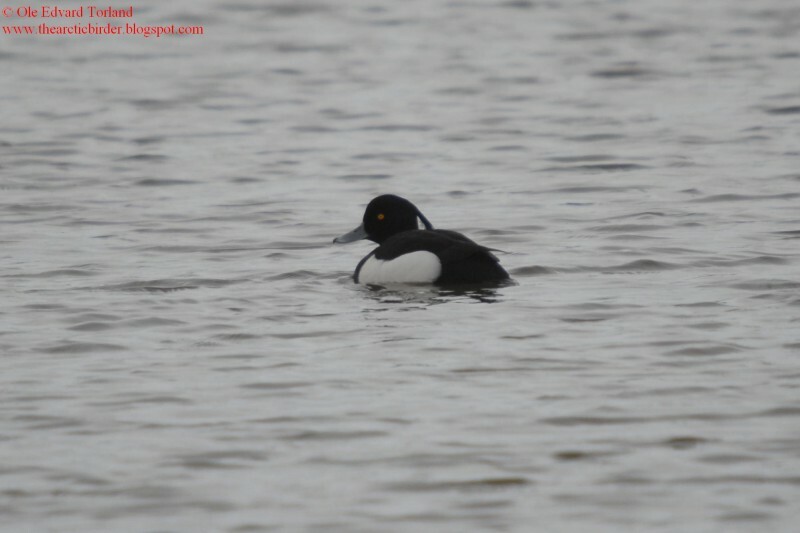 Small, compact diving duck with short neck and rounded head. 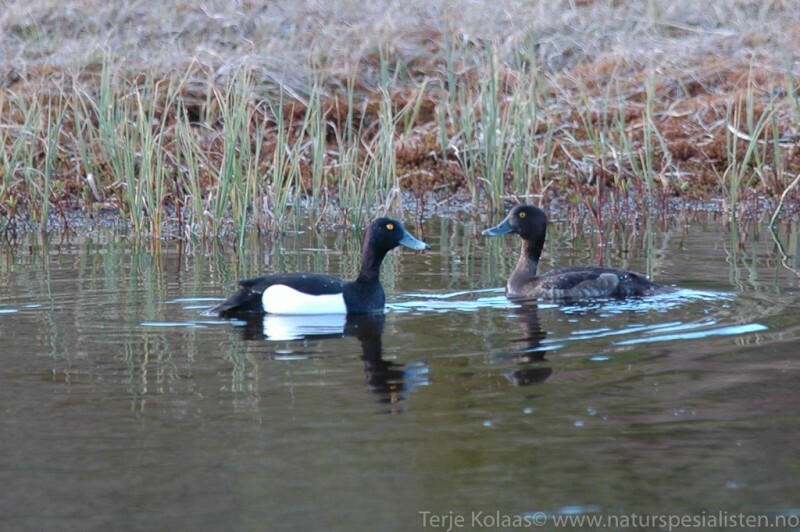 Males with diagnostic tuft, white flanks and black back. 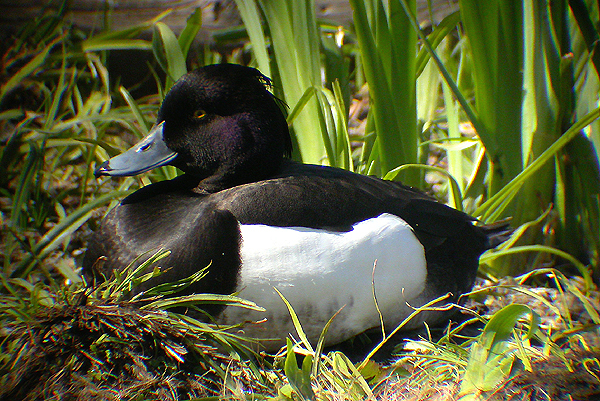 Females with rudimentary tuft, mostly dark brown body, with varying white feathering at base of bill. 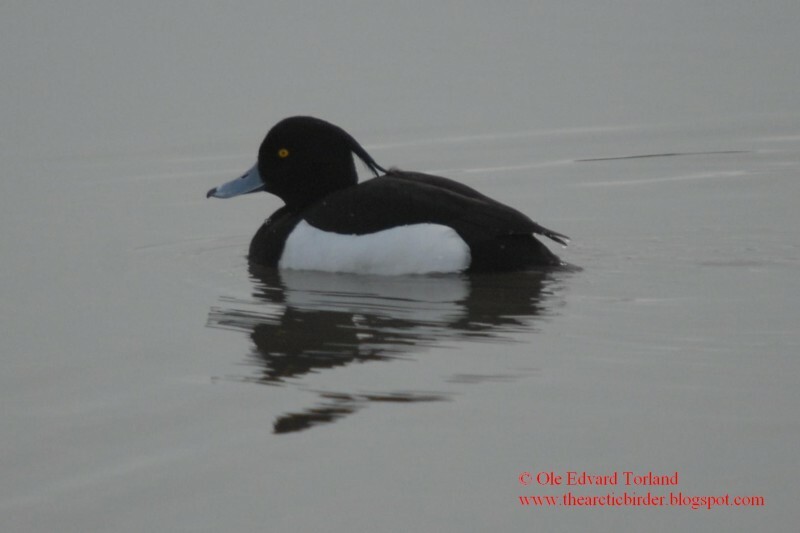 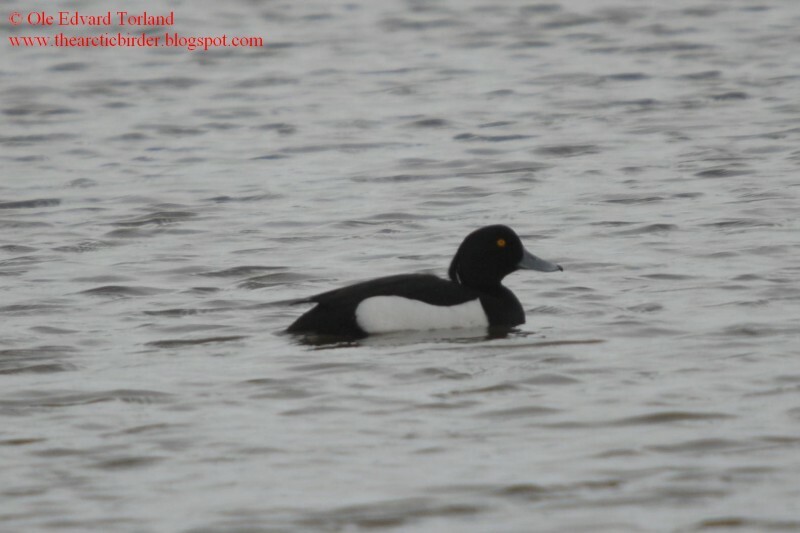 Females in winter showing much white at base of bill are easily mistaken for Scaup, but note hint of small tuft, smaller head, broad black nail of bill and no white cheek spots. 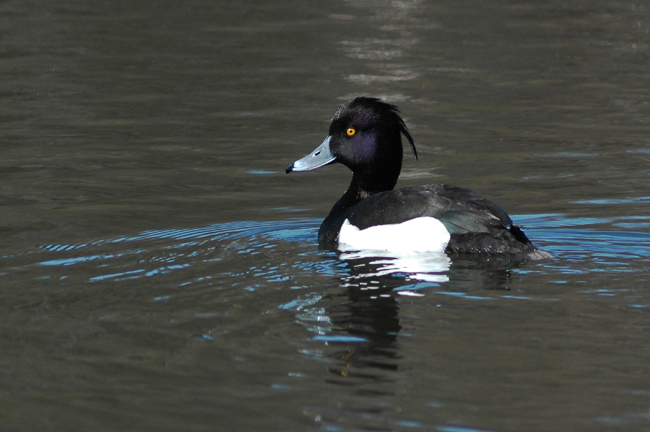 Both sexes show long, white wing stripes in flight. 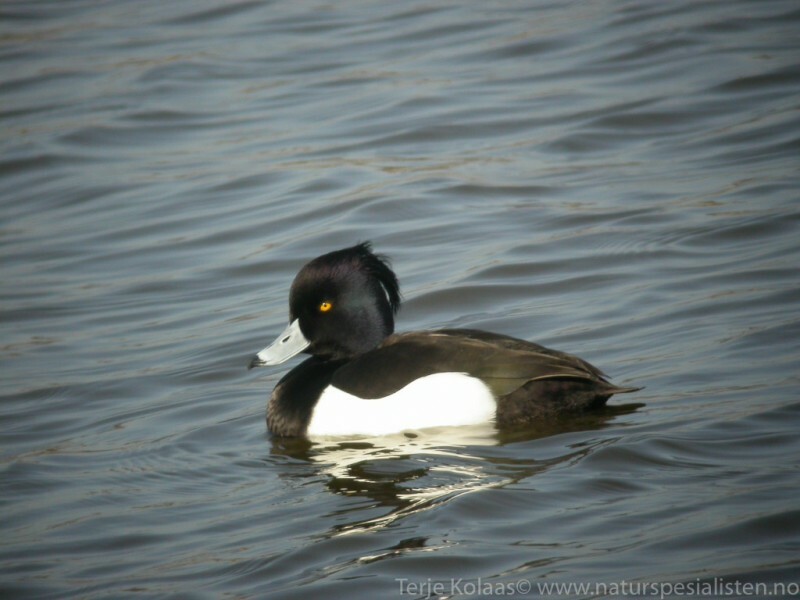 Male display sound: High pitched short whistling-like noises, "pjuu-uu", not very audible. 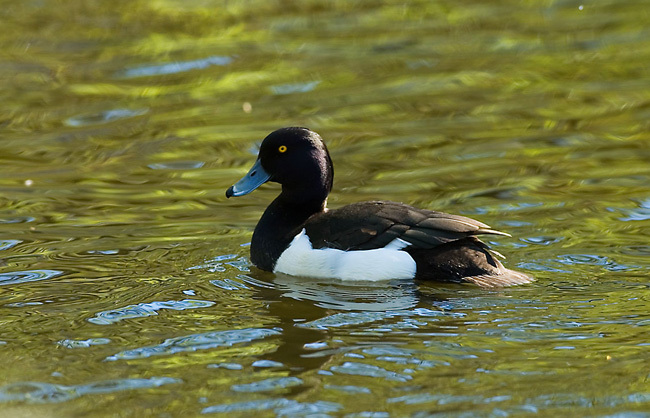 Both sexes have harsh "ahrrrr" calls like other diving ducks, sometimes with a crow-like quality.